The Nunavut Impact Review Board broke new ground for regulators in Canada this month. NIRB recommends using new media technology to inform, consult and connect Inuit communities in its Final Hearing Report on Baffinland’s Mary River Project released September 14, 2012. The potential of digital media to improve public participation in oral Inuktitut was demonstrated to NIRB by IsumaTV’s Digital Indigenous Democracy [www.isuma.tv/DID], a new web portal launched last May by Inuit filmmaker Zacharias Kunuk. 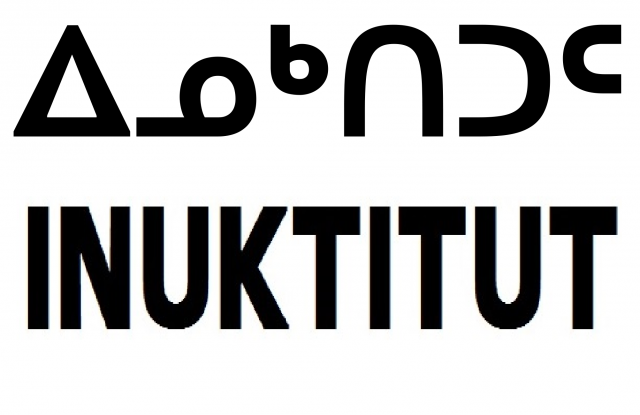 The website streamed live call-in radio shows, used Skype and collected video testimonies of Elders and Youth to promote region-wide community discussion in Inuktitut on the Baffinland development. 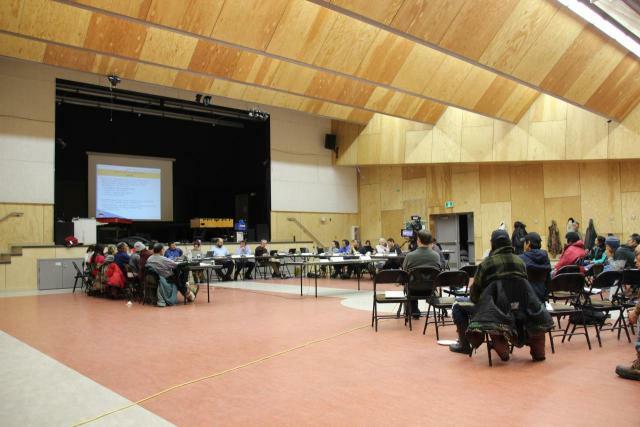 Kunuk delivered 22 call-in radio shows and 59 video consultations to NIRB’s Final Public Hearings in Iqaluit, Igloolik and Pond Inlet July 16-28. Kunuk’s presentation with human rights lawyer Lloyd Lipsett urged NIRB and Baffinland to use 21st century media to increase Inuktitut information and participation at the community level, to meet today’s constitutional and human rights standards of informed consultation and consent. Digital Indigenous Democracy also filmed the Public Hearings and streamed Inuktitut audio from Igloolik and Pond Inlet live online to all Nunavut communities and worldwide. - See attached Terms and Conditions for details. The next phase of Digital Indigenous Democracy will propose a sustainable model of ongoing consultation and participation for Inuit through modern media tools that allows Baffinland and other major developments to meet NIRB Conditions for informed Inuit participation using innovative technology. 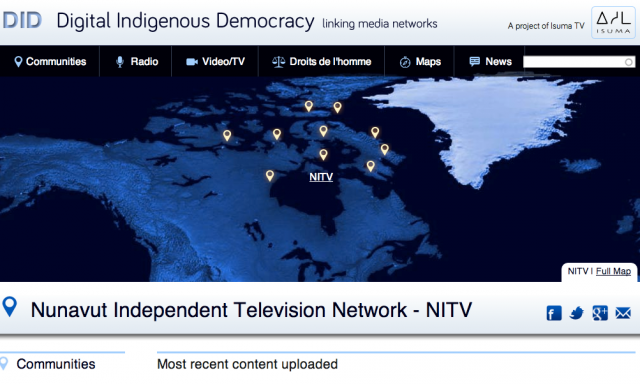 Digital Indigenous Democracy is a community-based new media initiative by Igloolik Inuit organizations Isuma Distribution International and NITV, co-directed by Zacharias Kunuk and long-time collaborator Norman Cohn, with support from Dr. Frances Abele, director of Carleton Centre for Innovation, Dr. Ian J. Mauro, Canada Research Chair at Mount Allison University, the GN Department of Culture, Language, Elders and Youth and an investment of $1 million from Canada Media Fund Experimental Stream. General Conditions, Item 12, (p. 241). The Proponent shall establish a Project-specific web portal or web page as a means of making all non-confidential monitoring and reporting information associated with the Project available to the general public. Objective: To enable and foster connection and contact between employees and family members. Term or Condition: The Proponent is encouraged to consider the use of both existing and innovative technologies (e.g. community radio station call-in shows, cell phones, video-conferencing, Skype, etc.) as a way to ensure Project employees are able to keep in contact with family and friends and to ward off the potential for feelings of homesickness and distance to impact on employee retention and family stability. Objective: To ensure the ongoing and consistent involvement of Elders and community members in developing and revising monitoring and mitigation plans. Term or Condition: The Proponent should make all reasonable efforts to engage Elders and community members of the North Baffin communities in order to have community level input into its monitoring programs and mitigative measures, to ensure that these programs and measures have been informed by traditional activities, cultural resources, and land use as such may be implicated or impacted by ongoing Project activities. Objective: To involve communities in the development and evolution of management and monitoring plans. Term or Condition: The Proponent shall continue to engage and consult with the communities of the North Baffin region in order to ensure that Nunavummiut are kept informed about the Project activities, and more importantly, in order that the Proponent’s management and monitoring plans continue to evolve in an informed manner. Reporting Requirements: To be developed following approval of the Project by the Minister. Everything you want to know about Cape Breton moose! UINR–Unama’ki Institute of Natural Resources– is releasing two new books on the importance of moose to the Mi’kmaq people at Membertou’s Heritage Park on Tuesday May 27 at 11:00 am. “Tiam:This is our Story” is a children’s book written in English and Mi’kmaq that tells the story of moose in Unama’ki from the appearance of the first “spirit” moose to the present day. Illustrated by Dozay and written by UINR’s Lisa Young and Clifford Paul, it is both entertaining and educational. 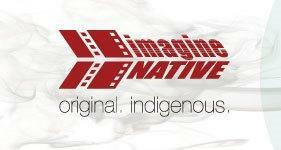 Funding was provided by Mi’kmaq–Nova Scotia–Canada Tripartite Forum’s Fund for Social and Economic Change. “Tiam: Mi’kmaq Ecological Knowledge–Moose in Unama’ki” gathers traditional knowledge of moose and its importance to the culture and survival of Mi’kmaq people now and through the ages. It also looks at the work of the Moose Working Group who have developed voluntary guidelines for Mi'kmaq moose harvesting. 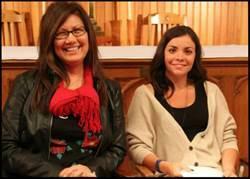 Funding was provided by Nova Scotia Department of Aboriginal Affairs. 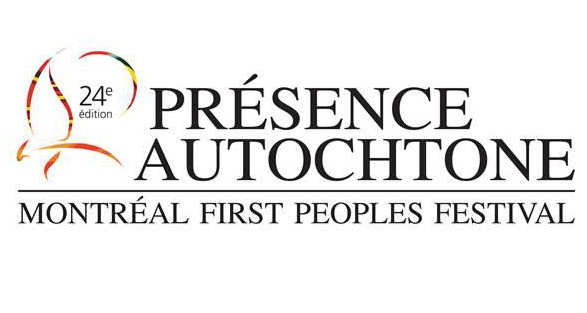 Parks Canada, andMi’kmaq–Nova Scotia–Canada Tripartite Forum’s Fund for Social and Economic Change. The book release will feature short readings in Mi’kmaq and English. Free copies of the books will be available (one per person) and there will be door prizes and snacks available. UINR’s Executive Director explains why moose are so important to the organization, “For many years UINR has worked closely with groups like Parks Canada, Nova Scotia Department of Natural Resources,and the Assembly of Nova Scotia Mi’kmaq Chiefs on a moose management initiative that brings Mi’kmaq, Canadian, and Provincial governments together on co-management. An important part of this initiative has been educating Nova Scotians and our Mi’kmaq communities on Mi’kmaq rights and responsibilities. These booklets help educate children and adults on the cultural importance of moose to the Mi’kmaq people and the important role our traditional ways of management play in ensuring moose will be there to benefit all Nova Scotians for generations to come.”UINR is Cape Breton’s Mi’kmaq voice on natural resources and the environment. Forestry, marine science research, species management, traditional Mi’kmaq knowledge, water quality monitoring, and environmental partnerships are among the organization’s responsibilities. Representing the five Mi’kmaq communities in Unama’ki–(Eskasoni, Membertou, Potlotek, Wagmatcook and We’koqma’q) on natural resources issues, UINR contributes to an understanding and protection of Unama’ki’s ecosystem through research, monitoring, education, and management. By integrating netukulimk (traditional Mi’kmaq management) with traditional and conventional ways of understanding, known as Two-Eyed Seeing, UINR takes the lead on best-management practices in Unama’ki. On January 15th, Television Serrana (“Television of the mountains”) celebrated its 21st year of operation, from the highest mountain system in Cuba. 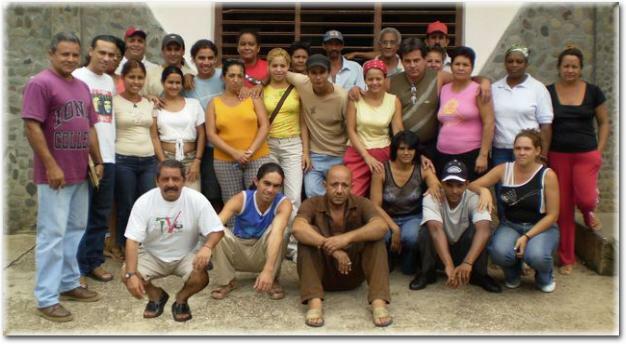 Founded in 1993 by journalist and documentary filmmaker Daniel Diez Castillo, and supported by the Cuban Institute of Radio and Television (ICRT), this community project seeks to reflect and defend the identity, human values and culture of the inhabitants of the Sierra Maestra mountain range. As a not-for-profit organization that seeks to promote the knowledge and use of audiovisual media for social, educational and cultural advancement, Television Serrana joined the Latin American Coordination of Film and Communication Indigenous Peoples (CLACPI) in late 90s, thanks to a partnership with the Center for Training and Filmmaking of Bolivia, CEFREC. Commitment to the people of Sierra Maestra and their distinct identity, experiences, needs, customs, philosophy and worldview, as well as the ambition to produce solid and aesthetic documentaries that reveal a collective imagery, have always been the fundamental pillars of Television Serrana, as part of their aim to create a community initiative promoting popular participation in media and allowing the Serrano people to not only be spectators but complicit participants in the medium. In a recent interview, Daniel Diez Castillo summed up the organization’s work: "Perhaps the one who helped us the most to understand how to make Serrana TV was Martí […] Martí talks about the need to bring passion and advocates for education into the mountains and remote areas to work at enabling the link between education and culture." This work is perfectly in synch with the aspirations of the indigenous producers at CLACPI, who join in celebrating a new year for Television Serrana. Europe's top court on Thursday rejected an appeal by Inuit seal hunters and fur traders against an EU ban on products derived from the Arctic animals. "The court dismisses the appeal in its entirety," the Luxembourg-based European Court of Justice said in a final ruling issued after an appeal against a September 2011 decision from its general court. That court had refused at the time to hear a challenge brought by 17 organisations, including Canada's largest Inuit group, Inuit Tapiriit Kanatami (ITK). The European Union ban, approved in 2009 under pressure from animal rights groups, includes an exemption for seal products derived from hunts traditionally conducted by Inuit and indigenous communities for subsistence. But Canada's indigenous groups fear it will severely damage their traditional seal hunt. The Canada-led campaign to lift the ban on the trade in seal fur and products was joined by the ITK as well as by Scottish suppliers of the sporran pouch made of seal pelt that is part of traditional Highland dress. 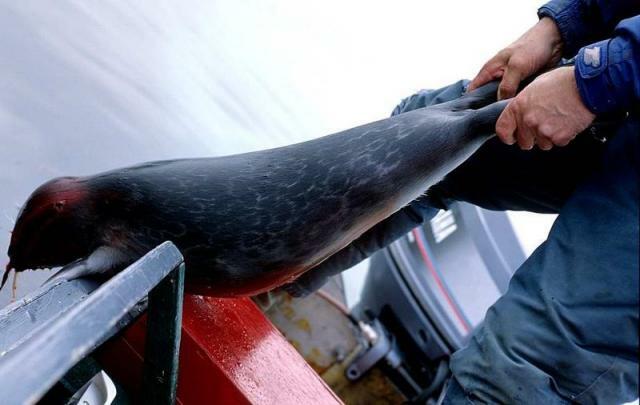 The ban has been highly effective in reducing the number of seals killed commercially, with 40,000 in 2011 against 354,000 in 2006. Likewise the price of a pelt has dropped from about 90 euros ($118) to nine in the same timeframe. Baffinland Iron Mines Corporation released yesterday a first progress report on the development of the Mary River mining project. Baffinland first announced on September 13th that construction, or more accurately preparations for construction, would begin immediately. This first step follows the corporation’s successful signing of the Mary River Agreement (Inuit Impact Benefit Agreement and Commercial Production Lease) with the Qikiqtani Inuit Association on September 9th. The project launch was also made possible by the Nunavut Impact Review Board approval given in December 2012, all be it as a “Early Revenue Phase” version of the original proposal. 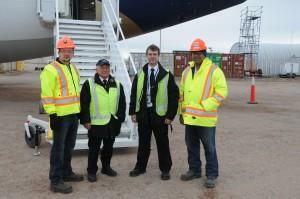 On September 25th Baffinland made their inaugural charter flight carrying employees and cargo from the Kitchener-Waterloo airport to the Baffinland Mary River Project site. Carrying cargo and a maximum of 119 passengers, Boeing 737s will began to fly weekly to and from Nunavut with cargo and passengers. These chartered flights are coordinated by Sarvaq Logistics, a logistics company headquartered in Iqaluit, and operated by Nolinor, a Quebec-based charter airline. Director of charter operations at Nolinor previously stated that this partnership might offer new charter opportunities for people traveling from the North suggesting that members of the public could even “crowd-source” flights by selling seats for flights online when the 737s are not in use with Baffinland. But at this time no such initiatives have been taken. Weekly jet service to and from the Mary River site began on September 26th. As for details on the actual work progress at the Mary River Site, Baffinland only states that the Mary River hard wall camp is in progress. Baffinland Iron Mines Corp. formally announces a decision to start construction on the Mary River Project in a release issued September 13th. The construction decision was made possible as a result of the recently completed Inuit Impact Benefit Agreement (IIBA) and Commercial Production Lease (CPL), which were executed jointly with the Qikiqtani Inuit Association on September 6, 2013. The Mary River Project has undergon an environmental impact assessment for the past 5 years, which culminated in a Nunavut Impact Review Board Project Certificate in December of 2012. The receipt of the Project Certificate allowed for the Class A Water License process to be completed with the Nunavut Water Board in July 2013. Collectively, these approvals along with the IIBA and CPL have given Baffinland the necessary permissions to began construction. In early 2013, Baffinland began mobilizing construction material, fuel, and equipment via sealift to facilitate construction activities. Along with mobilization efforts, Baffinland has promissed to also offer extensive training and to undertake recruitment initiatives to allow for Inuit, particularly from the North Baffin communities, to participate in employment opportunities created by the Mary River Project. Baffinland says it will now focus on completing the 2013 cargo and fuel sealift deliveries, as well as the construction of camp and fuel storage facilities, which will allow for construction activities to continue throughout late 2013 and into 2014. 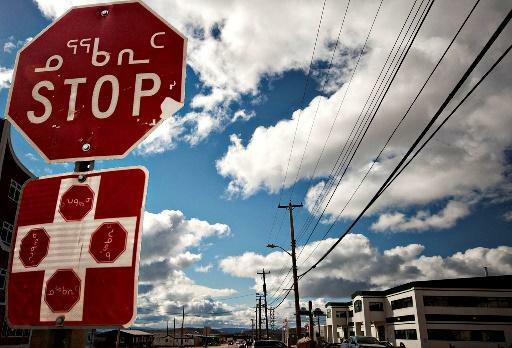 A proposed hydroelectric dam between Kimirrut and Iqaluit should be scrapped because it would sever a heritage route that has connected the communities for generations, according to the Qikiqtani Inuit Association (QIA). 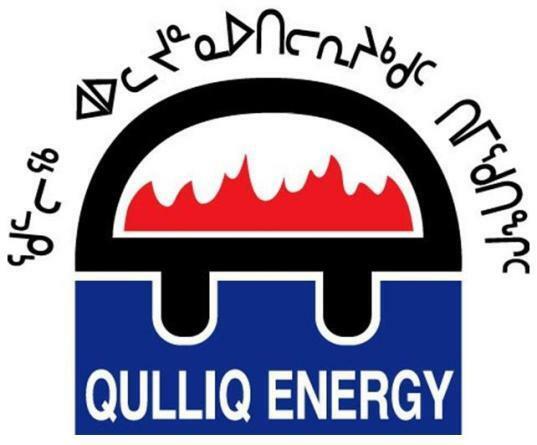 The QIA's Community Lands and Resource Committee in Iqaluit is opposing Qulliq Energy Corporation's plan to develop a 25-metre hydroelectric dam at Nunngarut, approximately 20 kilometres southwest of Iqaluit. The site is partially located on Inuit-owned lands and within Katannilik Territorial Park. The proposed development would threaten wildlife and disrupt the Kimirrut trail linking the community with Iqaluit, according to Simon Nattaq, QIA lands and resource committee chairperson in the capital. “The initial plan to build a dam at Nunngarut was opposed by many in Kimmirut and Iqaluit as it is a place that is frequented by Kimmirummiut and Iqalummiut for fishing and hunting activities," Nattaq stated in a Sept. 25 news release. "Travelling between Iqaluit and Kimmirut would also be threatened as the lake at Nunngarut is the only viable route to cross. For these reasons, we have concluded that the impact on Inuit would be too great." The corporation is proposing to build two hydroelectric dams, beginning with phase 1 at Qikirrijaarvik, approximately 40 kilometres south of Iqaluit, followed by phase 2 at the Nunngarut site, which would tap into the same grid. The project is in the midst of a review by the Nunavut Impact Review Board, after it completed screening in July. Nunavut Tourism expressed concerns about potential damage to the popular tourist area, while supporting the corporation's search for greener energy, in a letter to the Nunavut Impact Review Board in March. "We want to encourage that the multiple uses of this area be considered and the project proceed in a manner that will allow these uses to co-exist, with minimized impacts on each other," states chief executive officer of Nunavut Tourism Colleen Dupuis in the letter. On Sept. 18, the QIA called for the proposal to be returned to the review board for modification, including the removal of phase two of the phase-two dam, and encouraged the corporation to explore alternative sites for potential hydroelectric development in the region. Staking Claim is a multi-part series in The Huffington Post Canada exploring the proposed Ring of Fire mining development in Ontario and how the First Nations communities are preparing for economic activity and the environmental and societal consequences of Canada's next resource rush. WEBEQUIE FIRST NATION, ONT. — A bald eagle soars from the east between the evergreen branches of an uninhabited island in Ontario’s Far North and swoops in front of a fisherman’s small aluminum boat. Another eagle flaps nearby as the boat speeds toward fertile fishing grounds. Sightings of the majestic bird on this fly-in First Nation reserve have become more frequent, just as at-risk woodland caribou have started trekking through Webequie’s land. So have wolves. And last winter, a wolverine — another threatened species — was spotted on the ice road connecting the community on the skinny northern tip of Eastwood Island to the nearest town 250 kilometres southwest. Some say the eagles, the wolves and the caribou signal that wildlife is fleeing the Ring of Fire, an area of mining development that has been dubbed “Canada’s next oilsands.” The boggy region in the James Bay lowlands is less than 90 kilometres southeast of this reserve, and in one of the world’s last undisturbed forests. It is farther north than most Canadians have ever travelled. At the moment, the Ring of Fire is little more than a 20-kilometre strip of discoveries surrounded by prospectors’ stakes, drilling equipment and dirt roads in the midst of a marsh. But the influence of the massive deposit of minerals could soon threaten to swallow this First Nation. Webequie is squarely in the mouth of the Ring of Fire, a 5,000-square-kilometre crescent the size of eight Torontos. Before mining companies can consider breaking ground, the crucial question of how to transport the valuable cargo out of the remote region must be answered. A highway connecting the Ring of Fire to the Trans-Canada hundreds of kilometres to the south could be the first permanent connection to Webequie and other isolated native communities in Ontario’s far north. It could be one of the most transformational stretches of highway in Canada’s history. For resource companies, the route could determine whether projects get off the ground. For the people of Webequie, the stakes are even higher; it could change their entire way of life. As some of the most neglected areas of Canada, Webequie and surrounding First Nations in the far north have the most to win and the most to lose along the road to development. The path could lead the community out of poverty, replacing despair with opportunity. But it could also provide greater access to negative influences, such as drugs and alcohol, that already afflict some of its members. To Webequie members, the lush group of islands, the lakes and rivers that dot the area are a link to those ancestors — a source of food, medicine, reflection and spirituality. They believe it is their responsibility to care for the land and all of its inhabitants. To resource companies, the land’s value lies underground. Miners eyeing a potential $50 billion in profits must convince the affected First Nations communities that they can be trusted to ensure that everyone — natives, governments and industry — benefits from resource extraction at a minimal cost to the environment. The allure of the Ring of Fire region is not lost on the people of Webequie. Like prospectors, they value the resources in that swampy swath of land but the influx of mining activity has already affected their way of life. Trappers, hunters, fishers and gatherers from the reserve began reporting helicopters whirring across the sky and prospectors staking claims to riches on their land about a decade ago. “All of a sudden, these people who were going out on the land see these markings,” says Webequie band councillor Elsie MacDonald, a soft-spoken former chief with a pragmatic mind and warm embrace for a stranger. It was that tract of land to the east where they gathered with neighbouring bands for centuries before it was nicknamed the Ring of Fire by miners. “There’s a really great blueberry patch out there. People used to fill up their buckets with them,” MacDonald says, though her uncle’s visit there three years ago is the last time she recalls someone travelling to the area for berry picking. Webequie First Nation people have lived off this land for hundreds of years, since the small island was nothing more than a meeting place for families living nomadically in the surrounding bush, following wild game and migration routes. Elders trace the first permanent settlements back to the 1800s, and oral history of their presence dates to a century earlier. Given the community’s reliance on the forest, they are wary about development. Potential effects include a loss of local species, contamination of land and water from spills or seepage and the degradation of peatlands that act as a carbon sink. Even if environmental damage can be contained, the influx of human activities in the area could deter wildlife from following their natural migration routes. Today, there are few signs of resource development on the 343-square kilometre reserve — an empty shed once rented by a mining company and stacks of abandoned barrels of oil near the small airport. But the community is bracing for upheaval. “With change comes good and bad,” MacDonald says. In the conference room of the Webequie band office, maps of mining activity in the Far North are taped to the walls in an attempt to understand the complex web of claims on their traditional territory. MacDonald has converted a whiteboard mess of overlapping circles and scribbles into Excel spreadsheets and PowerPoint presentations to try to organize the situation. As the councillor responsible for the band’s finances and strategic planning, the pressure to strike a balance between environmental stewardship and business development weighs on her overworked shoulders. Sometimes it overwhelms her. The desk in her office is crowded with boxes of maps, proposals, applications and even a box of moccasins. Her bedroom, which barely fits a bed and small table, doubles as her home office, where to-do lists, Post-it notes and maps fight for space on the wood-panelled walls adorned with inspirational plaques and religious art. That commitment to her people’s rights brought her back to Webequie. Now she is devoted to ensuring her people have a voice. “The people are considered guardians of the land, and as custodians, they have a say,” MacDonald says. Aboriginals increasingly hold the balance of power in high-stakes development opportunities — their support is key to ensure smooth operation of multimillion-dollar projects. The alternative is simply too costly. Nearly 500 aboriginal communities across the country are at the heart of some $300 billion in oil, gas, forestry, energy and mining projects waiting to be developed. After centuries of being ignored and alienated by governments and corporate Canada, natives have been on a judicial winning streak. A broad interpretation of rights outlined in Section 35 of the Constitution makes it clear that First Nations must be consulted on resource development occurring within not just reserves, but also on traditional territory, though they hold no official veto power. The history of resource development in Canada, from the Mackenzie Valley Pipeline to the Prosperity Mine, is littered with projects shelved by companies that didn’t properly consult First Nations — resulting in big hits to their bottom lines and to the economy. Today, developers need only look west to the troubles Enbridge is facing over its controversial Northern Gateway pipeline for an example of what to avoid. First Nations have been shut out of the benefits of development, which has kept them locked in dependence on the federal government, says Grand Chief Edward John, a member and former chair of the UN Permanent Forum on Indigenous Issues. “The greatest source of poverty for First Nations has been their inability to access and develop lands and resources within their traditional lands and territories,” he says. Not now, he says. First Nations want a stake in such projects and the ability to develop their own. A growing number of First Nations communities have already taken steps to build their economies through agreements that go beyond the promise of jobs and a share of revenues. The Onion Lake First Nation straddling the Alberta-Saskatchewan border is working to turn the oil sector’s interest in their land into a diversified economy, in part through a number of joint ventures with oil-industry partners, and increasingly through self-owned businesses such as trucking, pipeline, and building material operations. Revenue is used to invest in the community and foster self-sufficiency. On Webequie’s small territory, children play amid neatly piled stacks of firewood in the shared spaces outside government-funded homes in various states of disrepair. Community members still hunt, skin and tan their own animal hides, make moccasins and jewelry and smoke fish and meat to keep for the winter months. Many mothers carry their infants on the traditional tikinagan, wrapped tight against a wooden plank. During festivals, they cook communal meals — frying fish together over an open outdoor grill, handing out portions as they are ready. With Webequie’s median income of $10,656, many families still rely on trapping, hunting and fishing to supplement what little they can afford to buy at the community’s lone northern store, which provides food and other necessities flown in to be sold at a price three times as much as in Thunder Bay. A litre of gas costs $2.69, while two litres of orange juice sell for $11.59. A potential all-weather road would permanently connect Webequie to the outside world, reducing the high costs of goods. It would enable the removal of junk vehicles from a heap beside the dump. Access could mean more supplies to improve beaten up and bumpy dirt roads and to fix the nearly 60 per cent of houses that are in need of major repair. It could also bring an influx of visitors looking for ways to spend their money. An infrastructure proposal from Ontario Power Authority would see a power line from the Ontario grid extended to Webequie, which could end their reliance on emissions-heavy diesel generators that can cut out in cold weather. However, a permanent connection to the mainland could also lower the prices of drugs and alcohol and make them readily available on a reserve that is officially dry. Someone looking for a fix can illegally get a quarter of a pill of Oxycontin for $120 or a 375ml bottle of vodka for $150. With unemployment hovering about 70 per cent, many on this reserve of 840 believe the Ring of Fire represents the first opportunity to stimulate the local economy they have ever seen. They want jobs, and companies say they want to hire locally. But Elsie MacDonald and her fellow band councillors want more than jobs.They are contemplating plans to open the airport to commercial use, warehouses for core samples, a camp for miners, a restaurant, as well as to expand the six-room motel. Joint ventures to supply resource companies in the Ring of Fire are also top-of-mind potential business opportunities. While MacDonald keeps one eye focused on the internal needs of her community, she also keenly watches the international metals market, looking for signs pointing toward a resurgence of interest in the region. The Ring of Fire — and its store of chromite, nickel, copper, zinc and gold — comprises a new mining district at a time when a discovery is a rarity. Companies are eager to begin construction. The resource rush in the area started in 2002 when prospectors, exploring the area for diamonds since the 1990s, instead found deposits of copper and nickel, sparking a flurry of other exploration activity. Junior miner Noront Resources Ltd. discovered a rich deposit of minerals in the James Bay lowlands in 2007. Founder and former president Richard Nemis, a Johnny Cash fanatic, named the area the “Ring of Fire” after the famous country ballad. Then Noront prospectors struck paydirt in chromite, the ore of chromium that, when processed with iron into ferrochrome, is used in chrome rims for cars and stainless steel sinks. It was the first time commercial-level quantities of the glittery black mineral found in meteorites were discovered anywhere in North America. 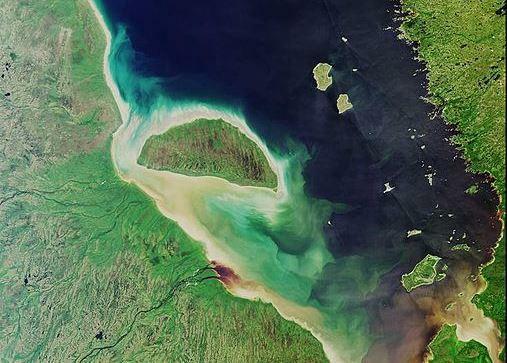 Some suggest the Ring of Fire was created by a meteorite that left chromite and brought an unusual amount of metals closer to the Earth’s surface. When global financial markets crashed in 2008 the exploration rush withered, though demand for chromite and the other minerals is expected to increase as global markets recover. Now there are about 30,000 claims and 30 resource companies in the area. Two companies have proposed projects: Noront, with its $609 million Eagle’s Nest nickel, copper and platinum underground mine and Cliffs Natural Resources, with its $3.3 billion Black Thor open-pit chromite mine. Both are within 100 kilometres of Webequie. “This isn’t a project, this is opening up a new mining district,” Bill Boor, Cliffs senior vice-president of global ferroalloys, says of the scale of its Black Thor site, the largest proposed development in the area. Ambitious projects require huge investments. The area is not accessible by road year-round. Supplies are flown in or driven across ice roads during long, frigid winters. The frozen lakes, acidic soil, impermeable muskeg and lack of rock and outcrop make construction — both at the mine sites and for surrounding infrastructure — particularly challenging. The issue of building a transportation corridor to get metals to market could make or break the mining development. Cleveland-based Cliffs has proposed a 350-kilometre North-South corridor. The estimated $600-million new highway would see 100 truckloads per day cross four rivers and a woodland caribou migration path. Although the plan does not connect any of the remote Matawa First Nations, Cliffs says the corridor would be a “spine” giving the First Nations it nears a chance to build roads out to it. The question of where a road is built is so crucial to Cliffs that it has threatened to abandon its project after a September ruling denied it the right to build a road on land held by a rival miner. Cliffs is now weighing whether to appeal the decision, buy the smaller miner outright or walk away altogether. While Cliffs’ future in the Ring of Fire is uncertain, Noront is going all in. Headquartered in Toronto, Noront’s sole focus as a company is the Ring of Fire. It is forging ahead with its environmental assessment and expects to submit it by the end of the year. Noront is proposing an alternate transportation option — a $500 million East-West corridor. The company argues that the route is superior in many ways; it does not traverse the migration route of woodland caribou, would be less expensive to build, avoids rivers and provincial park and would connect four remote communities. Noront — whose Toronto office is decorated with aboriginal art and vests made by children of Webequie that it bought from a charity auction — has already sunk $200 million into projects in the region, more than $5 million of it on consultations, training and social programs in First Nations communities. Paul Parisotto is the chair of Noront’s board and says the First Nations near the Ring of Fire will reap rewards from the project. “They make money, we make money, they have jobs, they feel good about themselves, so it’s a win-win for everybody, and that’s what we’re trying to achieve,” said Parisotto, who served as interim CEO until recently. The relationship between the mining company and the communities has been contentious. Webequie and Marten Falls First Nations allege that Noront began using two frozen lakes in the area as airstrips without their consent when it first started staking the area for claims in 2003. In 2010, frustration over the lack of consultation and the impact of exploration and construction activity hit a boiling point. The two communities erected blockades to stop mining planes from landing. Community members of all ages holding hand-painted placards gathered on the airstrips. ”No passing without our consent,” read one sign. “What’s in it for us?” asked another. Work was interrupted for two months before the First Nations were convinced their grievances would be taken seriously. Exploration agreements, which covered accommodation and compensation, were signed within months. But the agreement between Noront and Webequie expired last year, and the two have not been able to agree on new terms. The First Nation wants money from the mining company in order to study the impact of a road and future mining on their land. Noront says Webequie is asking for more than it is willing to provide before it even has approval for the project. For Webequie, it is a veritable Catch-22. Without an agreement providing financial support, it cannot pay for the studies, research, advisors, travel and translations needed to educate its members, form an opinion and articulate a position on the terms of a mining agreement. As the preliminary stages drag on, miners are growing increasingly frustrated with the glacial pace of development. They fret that investors and the global marketplace could lose interest. Bill Boor of Cliffs acknowledges that his company’s initial timetable for an operational mine by 2015 assumed people were “politically and emotionally and intellectually ready to move” and that reaching the point where parties were co-operating has taken a lot longer than anticipated. “We’ve got so many autonomous communities that are touched by this project, and it creates a complexity that is unusual in my view,” Boor says. While communities insist on negotiating with mining companies one-on-one, they have banded together for talks on regional strategy with the province. The group of First Nations will be represented at the bargaining table by former MP Bob Rae and retired Supreme Court Justice Frank Iacobucci will negotiate for the province. But if the various negotiations do not begin to move faster, Boor says, the company could reach a point where the project is no longer economically feasible. That, he says, would reflect poorly on Ontario and Canada’s mining sector. The Webequie First Nation sees the delays as a blessing. They give the band, economically trapped in the 19th century, time to prepare to sit at the table with well-staffed governments and multinational resource companies. Even the federal government has expressed concerns about whether Webequie and surrounding First Nations are too underdeveloped to benefit from such projects. “The First Nations closest to the Ring of Fire are among the most socio-economically challenged in Ontario, impacting their ability to meaningfully participate in large complex projects,” according to February 2013 briefing notes prepared for John Duncan, then minister of Aboriginal Affairs and Northern Development Canada. Before Webequie considers whether it is for or against a permanent road connection, it must improve existing shabby infrastructure, MacDonald says. The reserve needs some $28 million to bring its roads, housing, garbage disposal, water and sewage treatment facilities up to the Canadian standard, according to a study conducted for the band last year. The people of Webequie want development to help end the challenges associated with isolation in the wilderness and to raise a more hopeful generation that thrives on both modern and traditional knowledge, that understands both Oji-Cree and the technical jargon of mining companies. They want to end their 70 per cent unemployment rate, increase the percentage of the population with a high school degree from 30 per cent and address the problems that contribute to a suicide rate that is 10 times the national average. As another winter approaches, Webequie members are bracing for the latest evidence of the impact of activity in the Ring of Fire — another stream of wildlife across their ice roads. But even as the outside world bears down on the community, Webequie vows it won’t bend to pressure to build a relationship with miners on a schedule dictated by the companies. “When the community is in a position to deal with what happens to their land and resources, then that good relationship would start to happen,” MacDonald says. Thanks to the generous donations from thousands of Canadian individuals and organizations, the Hupacasath’s legal team were able to take their case in federal court in Vancouver on June 5th-7th. The good news is this legal battle isn’t over yet. The Hupacasath’s lawyers believe they have grounds for an appeal, and the Hupacasath are prepared to take this case to the next level. The Hupacasath are ready to stand up for all of us, but they can’t do it alone - especially now that the Harper Conservatives have asked the courts to force the Hupacasath to pay over $100,000 in costs for the government’s legal team and expert witnesses. Historically, Canadians have not been forced to pay the government’s costs in constitutional challenges where the public interest is at stake. What does it say about the state of our democracy that our government would refuse to bring a sweeping investor agreement before Parliament, and then force Canadians to pay punitive legal fees for challenging them in court? The Hupacasath are refusing to be intimidated by this new hurdle. Their band council has agreed to appeal the judge’s ruling, but the appeal can only go forward if we can raise $300,000 to pay the costs and legal fees before Thursday, September 26th to meet the strict deadline for filing an appeal. Over 6,000 people have already donated for this legal challenge, and if we all give just $3 today we can cover the costs and fully fund the appeal immediately. If we can raise $110,000, we can cover the draconian fee that the government has imposed on the Hupacasath. If we can raise $300,000 by September 26th then we can fully fund an appeal, ensure the Hupacasath will not be saddled with debt, and take the fight to the next level. If we raise more than $110,000, but less than $300,000, the remaining money will go to turn up the pressure in key Conservative MP ridings. We can do amazing things when we stand together. By sharing the load, Canadians from coast to coast to coast already raised well over $150,000 to cover the costs of the initial legal challenge. Now, it’s up to you to decide whether or not this appeal will go forward. When this fight to stop FIPA started a year ago no one would have ever thought that we would get this far. From the beginning, we’ve had a two part strategy of challenging this FIPA in the courts while putting pressure on Conservative MPs to stop this reckless investor deal - and it’s succeeded beyond anyone’s expectations. The legal challenge from this small 300 person First Nation has successfully delayed ratification of the Canada-China FIPA and raised awareness across Canada. They’ve taken on this David and Goliath battle to defend their own rights and title and to defend the rights and interests of all Canadians. Or if you’d prefer to donate by phone, call 1-855-LEADN0W (1‑855‑532‑3609) extension 2. "The Union of BC Indian Chiefs refuse to accept the Government of Canada's argument that there is no 'causal link' or 'potential adverse impacts' on our constitutionally-enshrined and judicially-recognized Aboriginal rights and the ratification of FIPA. The Court wholeheartedly accepted Canada's argument. First Nations leadership across this country are facing a federal government who stated in court that they do not need to nor ever intend to ever consult any First Nation regarding any trade agreement. The Court responded this total lack of consultation 'would not contravene the principle of the honour of the Crown or Canada's duty to consult' That is absurd, unconscionable and incredibly offensive,"
 Judge's decision, Hupacasath First Nation v the Minister of Foreign Affairs and the Attorney General of Canada. Photo credit: Gary McNutt, 2013. Qikiqtani Inuit Association wants Qulliq Energy Corp. to "further explore alternative sites"
The Qikiqtani Inuit Association and the Community Lands and Resource Committee in Iqaluit said Sept. 25 that they oppose Qulliq Energy Corp.’s plans to develop a hydroelectric project at Nunngarut (Armshow South,) a popular hunting and camping area close to the Bay of Two Rivers. The QIA said it “encourages” the power corporation to look for alternative sites in the region that can potentially be used to hydro development. “The initial plans to build a dam at Nunngarut was opposed by many in Kimmirut and Iqaluit as it is a place that is frequented by Kimmirummiut and Iqalummiut for fishing and hunting activities. Travelling between Iqaluit and Kimmirut would also be threatened as the lake at Nunngarut is the only viable route to cross. “For these reasons we have concluded that the impact on Inuit would be too great,” said Simon Nattaq in a news release. Nattaq chairs Iqaluit’s Community Lands and Resource Committee, or “CLARC,” which advises about land management and development on Inuit-owned lands. Under QEC’s proposal, they would build a hydroelectric dam at Jaynes Inlet first, and after 2030, build a dam and power station at Armshow South. But the QIA said in a Sept. 25 news release that it will not approve any permits to build at Armshow South, which is partially located on Inuit-owned lands and within Katannilik Territorial Park. The CLARC and QIA say they want the QEC to resubmit their hydroelectric project proposal without the Armshow South dam component. The QIA announcement follows a Sept. 10 consultation with the Nunavut Impact Review Boardd where Inuit elders said they feared the effects of a hydroelectric project near Iqaluit. They also said at the meeting that QEC should negotiate an Inuit impact and benefit agreement with QIA. “I believe we need an IIBA in the millions,” Nattaq said at that meeting. On Sept. 18, the QIA provided comments on QEC’s hydroelectric dam proposal, which is currently under a Part 5 review by the NIRB. In the letter, the QIA said it would support community members’ opposition to the proposal due to the location. And QIA said the proposal should to be sent back to the QEC for changes. The power corporation has been planning a hydroelectric project near Iqaluit since at least 2005. The latest version of the QEC’s plan would see them spend up to $450 million on two dams and power stations over the next 20 years or so: the first at Jaynes Inlet (Qikirrijaarvik), about 40 kilometres from Iqaluit, and the second, planned for the decade following 2030, at Armshow South (Nunngarut) near the Bay of Two Rivers, 20 km southwest of Iqaluit. Those sites would be connected to the city by at least 84 km of power lines. Thank you for listening to our concerns QIA, there is too many concerns with damming this area, it is used so much I think there has to be more consultation before the green light is turned on. Meanwhile, the QEC has to store and burn “millions” of liters of diesel fuel every year, just because some people use the proposed area as a fishing and hunting spot. The negative effects from that, far exceed the negative effects from a dam. Iqaluit will continue to suffer from economic and social problems as long as there are people who are opposed to change, for the sake of being of opposed to change, at every turn. It’s not like there are a lot, if any, viable alternative sites for a project like this. Had QEC argued for the opposite, I am nearly certain there would still be opposition. I feel like some organizations just put up roadblocks to be a part of things. QEC: We do not want to build a dam at Armshow, we would rather continue to burn diesel indefinitely. QIA: No, we do not support burning diesel, it is harming our fishing grounds. We want a dam at Armshow! screw them..as a ratepayer, taxpaer and some one who pays for outrageous power bills..You have my permission to go ahead and build the dam there…thank you.. Calm down. The article states that QIA encourages Qulliq to look for alternative sites. It can still be worked out, no need to be negative. It’s better if it’s put in place and is well thought out and planned. This hydro project has been tossed around for years & countless dollars have been spent to determine that this was the best option for Iqaluit. Diesel forever I guess. That’s good for QIA though as they own Uksuq & deliver the diesel! I wonder how much research/critical thought went in to this decision by CLARC. I also wonder how many folks on CLARC actually pay the residential rate for power bills, vs. the heavily subsidized social housing rate that’s 1/10th the cost. Nunavut, where we take an ulu to our nose in spite of our face. @WhiteDove It’s been planned out for “8 years”. It’s fine to “say” they encourage alternative sites, but realistically there are only so many sites you can feasibly put a hydro electric dam. I have little doubt the same arguments will be used to oppose those sites as well. 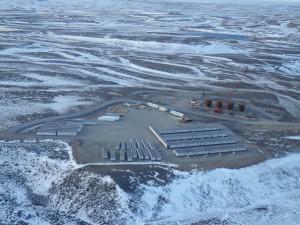 Iqaluit needs more power alternatives ‘now’. There’s already brown outs, insanely high power bills, a ridiculous amount of diesel being used every year, and it makes the cost of ‘everything’ higher. It would be nice to research what QIA’s position on the matter had been in the past. With the amount of time and money spent on consulting and researching this issue, I am sure they were consulted a lot of time. On the other hand , guess what!! there will always be an area that is dear to somebody and there will always be a river that someone is using for fishing and recreation. So if we go at this that way nothing will ever get done. Let’s make a political decision once and for all or close the coffin forever and stop wasting time and energy on this. @#4 will a $450million dam reduce power rates? or increases them 450mill is a lot to pay off…. People who don’t pay for power nix a project they don’t understand. Great. Iqaluit will burn dirty expensive diesel forever. Thanks for nothing QIA. Surrounded by the forests in Eskasoni and framed by the Bras d'Or Lakes, a new five-year forestry agreement was signed by Chiefs representing the five Mi'kmaq bands in Cape Breton and Marc Dube from Port Hawkesbury Paper. The new contract with Unama'ki Institute of Natural Resources (UINR) outlines the roles and responsibilities for harvesting and silviculture, while paying special attention to species-at-risk and culturally significant areas for traditional-use plants. Quotas for pulpwood, stud wood, saw logs and biomass are also detailed in the agreement. Mark MacPhail, UINR's Director of Forestry explains, "UINR has represented Unama'ki's Mi'kmaq in forestry since 2001. Since that initial agreement with Stora Enso, we've signed agreements with NewPage, and we are pleased to continue that tradition today with Port Hawkesbury Paper. While facing a difficult world market situation, Port Hawkesbury Paper is showing the North American paper market that they will be a leader in sustainable forestry while providing a high-quality product. UINR is pleased to be playing a key role in this success." Port Hawkesbury Paper is committed to the goals of providing long-term sustainability and natural biodiversity for the forests' many ecological, social and cultural values while providing a stable and long-term wood supply and economic viability for the company, local wood suppliers and sawmills. UINR and the Chiefs of Unama'ki share the focus on land and water conservation that have been traditionally used by the Mi'kmaq people. Port Hawkesbury Paper LP is a forestry operations and paper mill in Port Hawkesbury. Port Hawkesbury Paper forestry operations are the only large forest operations that are Forest Stewardship Council® certified in Atlantic Canada. Unama'ki Institute of Natural Resources is an organization that represents the five Mi'kmaq bands of Unama'ki (Cape Breton) on issues related to natural resources and the environment.